Know what is the legend of Mahashivaratri. Mahashivaratri is a religious festival of the mountains, which is celebrated as the birth anniversary of Lord Shiva, the chief god of Hindu religion. , the religious festival of Krishna Paksha. On this day, devotees of Shiva and Shiva keep fast fasting and especially worship Lord Shiva. Some beliefs associated with Lord Shiva are prevalent on Maha Shivratri. It is believed that on this special day Lord Rama was born in the Rudra form of Lord Shankar in midnight. At the same time, it is also believed that on this day, Lord Shiva had opened his third eye by tandava and ended the universe with the flames of this eye. Apart from this, in many places this day is also linked to Lord Shiva's marriage and it is believed that this holy day was the marriage of Lord Shiva and Mata Parvati. 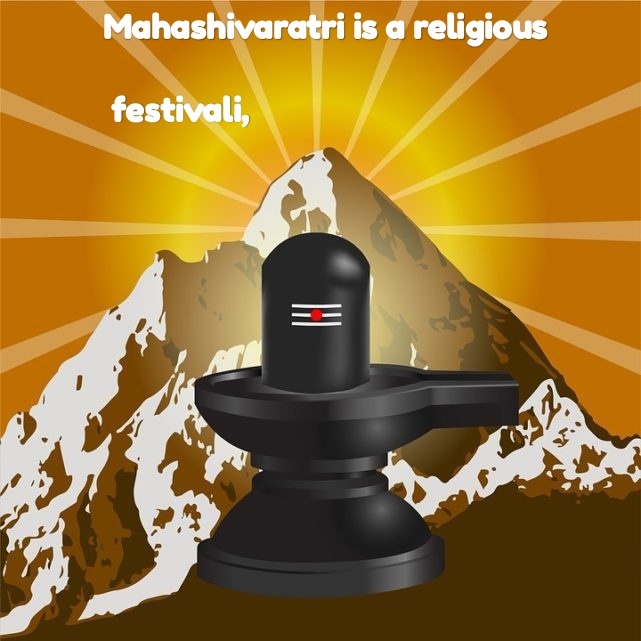 In any case, there is a Shivratri in every month, but this Shivratri coming to the Krishnardashi of Phalgun month is of utmost importance, hence it is called Mahashivaratri. In fact, Mahashivratri is the festival of Lord God BholaNath, when the devotees perform Pooja with Mahadev's law and make them receive blessings., who consider themselves fortunate by worshiping Lord Shiva.